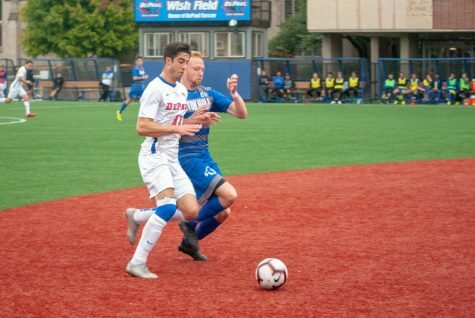 A tough season ended on a positive note for DePaul men’s soccer on Wednesday, Nov. 1 as they knocked off rival Marquette 3-1 at Wish Field. 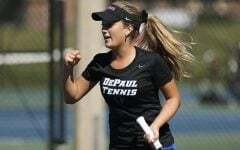 With the win, DePaul closes out the season 5-11-2 and 2-6-1 in conference play leaving them ninth in the Big East. 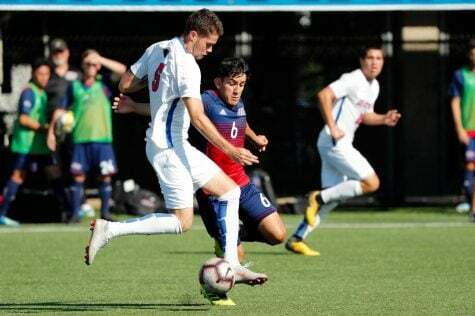 The game did not get off to a good start for the Blue Demons as they fell behind again just eight minutes into the game after Marquette forward Grant Owens was able to slide a shot past senior goalie Quentin Low for a 1-0 lead. 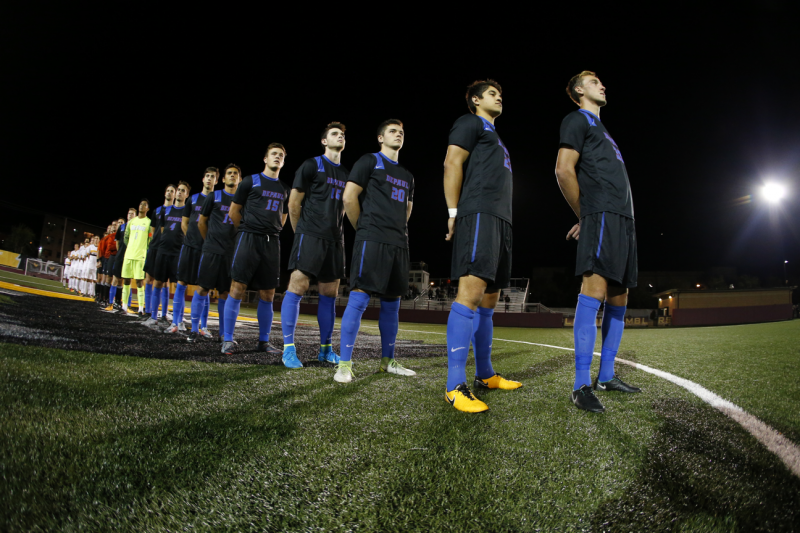 The Blue Demons responded with three goals of their own to rally for its first win since Sept. 30 against Villanova. 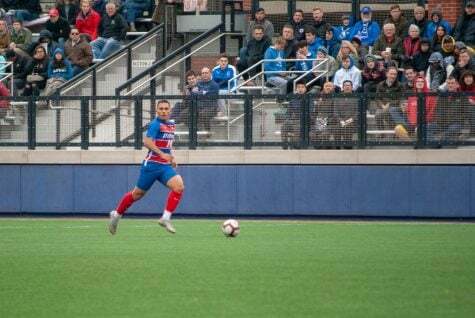 Head Coach Craig Blazer was proud of the way his team responded to the early goal and being eliminated from postseason contention with a loss to Creighton just a couple days earlier. 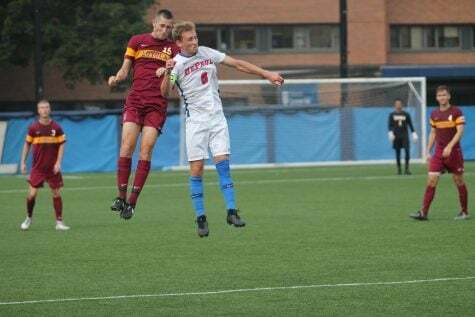 That goal came from freshman midfielder Istvan Wilhelms, who was able to slide in just above the six-yard box to put away a cross from senior midfielder Philipp Konigstein to tie the score at 1. “I thought it was very important especially since we haven’t scored in a while so to get right back into it and tie it up was a huge moment in the game, ” Wilhelms said. The Big East conference announced Friday Nov. 3 that Wilhelms earned All-Freshman Team honors. He was the only Blue Demon to earn conference accolades for men’s soccer this season. The rest of the first half was filled with plenty of fouls and neither side able to get much momentum. 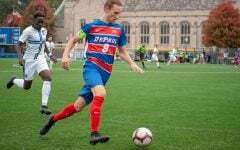 DePaul was able to put the heat on Marquette, however, scoring just four minutes into the second half after graduate midfielder Bryan Simons took advantage of a misplayed ball from Marquette goalie Noah Heim and tucked it away for a 2-1 lead. 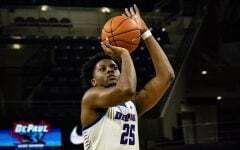 From there, DePaul had to fend off a desperate Marquette team in need of a win to qualify for the Big East tournament. 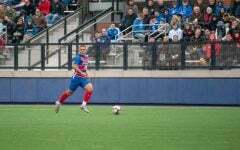 That only got tougher after sophomore defender Sasa Labovic received his second yellow of the second half and was sent off in minute 66, leaving the Blue Demons to defend a 2-1 lead with 10 men for the last 24 minutes. 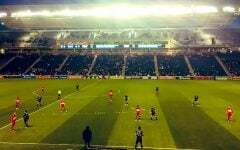 “Down a man and Marquette scored four goals against Creighton a couple of games ago, they’ve got really good players as well and I think we just kind of wanted it a little bit more and the guys they dug in,” Blazer said. Blazer credited Low and sophomore defender Max de Bruijne for stabilizing the defense, with both players making a couple huge stops late to preserve the lead. Despite being eliminated from postseason contention, and being without senior Stijn van der Slot, players noted the focus was about sending the seniors out the right way. 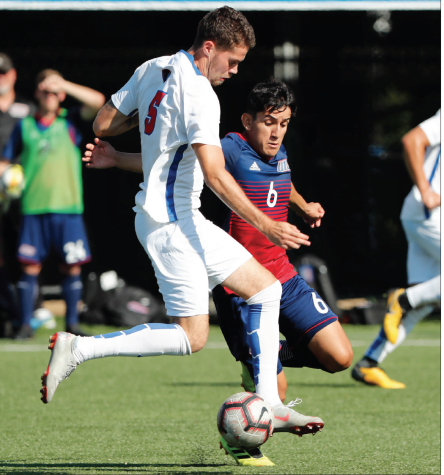 “It was the last game of the year for us we wanted to end on a good note for all the seniors,” sophomore midfielder Zach El-Shafei, said about the focus heading in. Coaches and fans also caught a glimpse of the future as well with El-Shafei and Wilhelms both stepping up to make big plays in the final game of the season. 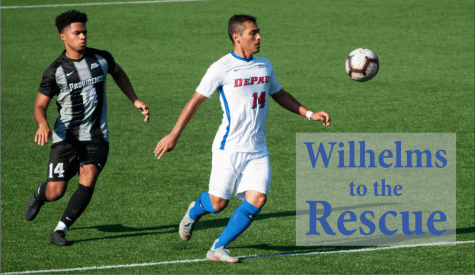 Wilhelms’ finished his first season at DePaul with four goals and four assists in 16 starts and knows this experience will serve him well heading into next year. 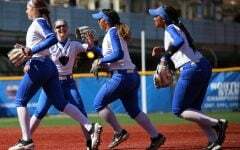 “I think now since I got a little more experience this year with the college game it’s just playing quicker, playing more as a team and having chemistry on the field,” Wilhelms said. 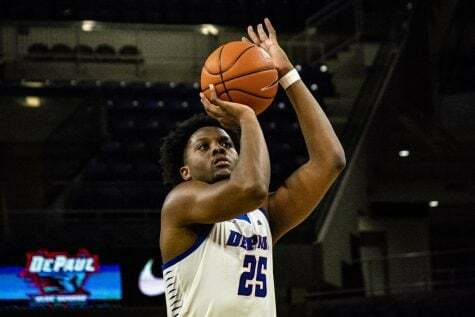 After making it to the Big East tournament the past two years, players and coaches were quick to point out this season is not what they were hoping for, but they are not far off getting back to the conference tournament next season. Both players and coaches stressed cleaning up their play in both the offensive and defensive 18 yard boxes is a good start to win some of the close games they lost this season. 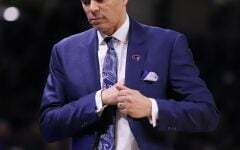 “We have to learn how to bring games home and of course we have to get better overall, we have to get better at finishing opportunities, we have to get better at not giving up goals too easily in the end it comes down to bringing games home when you’re ahead in them,” Simons said. El-Shafei echoed that point, noting the team was close in a number of games and just has to figure out how to get better results from those games. “Every game we lost it was really close, a lot of the mistakes we made always resulted in goals against us. 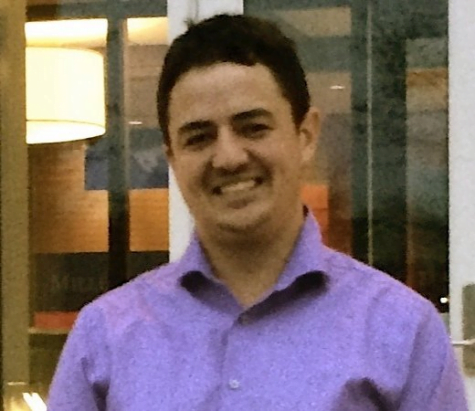 So I think just learning from our mistakes, trying to fix things, whether it’s technical or communication, just polish those things off,” El-Shafei said. Blazer also acknowledged these close results, but believes they just have to be a little better in some areas, including inside the box.